Adolescent and young adults referred to Jackson-Feild’s Addiction and Recovery Treatment program have not been able to function in the community even with the external structure and extensive treatment services. Males and females ages 11 to 17 receive treatment in a 24 hour supervised environment. Admissions of children 18 to 21 is acceptable if the residents are placed by a local department of social services, are court ordered, or are referred by a Family Assessment and Planning Team. In the case of a direct parental placement with no public agency involvement, individual approval must be received by the Department of Behavioral Health and Developmental Services prior to accepting residents 18 and over. Jackson-Feild Behavioral Health Services staffs licensed and credentialed addiction professionals to help facilitate healing and recovery. Each resident and their family become a part of a multi-disciplinary treatment team of addiction counselors, physicians, LCSW’s LPC’s and credentialed Mental Health Professionals to ensure that residents receive appropriate care. There is a knowledgeable addiction counselor available on site or by phone 24 hours a day. 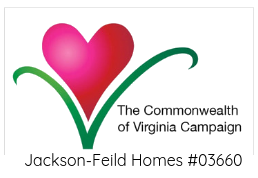 Jackson-Feild provides daily clinical services that help residents improve their tasks of daily living and facilitate recovery. Residents participate in clinically directed program activities to help stabilize and manage substance use symptomatology and help them apply their recovery skills. Certified Substance Abuse Counselors administer the Practical Adolescent Dual Diagnostic Interview (PADDI) with the resident. The PADDI is included as part of the holistic, comprehensive assessment which is designed to uncover co-occurring psychiatric and substance use disorders. Adolescents and young adults appropriately referred to JFBHS’ Addiction and Recovery program have not been able to function in the community even with external structure and extensive treatment services. Residents participate in individual therapy and addiction treatment sessions three to five times per week. JFBHS acknowledges that substance use issues are connected to many concurrent mental health problems including PTSD, anxiety, and depression. Because of the significant overlap among mental health diagnoses and substance use disorders, JFBHS utilizes an integrated treatment model in which therapists seek to explore and heal underlying causes of addiction, such as trauma, poor self-esteem, low self-worth, and unresolved pain. After leaving Jackson-Feild, I see things in a different way. I am on the way to the Job Corps, have obtained my learner’s permit & have a better relationship with my family.